Indianapolis, IN – Is a 15 Year Mortgage for You? The Indianapolis, IN housing market is has been in the process of recovery now for some time and foreclosures are lessening. With the financial climate more stable many of today’s borrowers are attracted to 15-year mortgages’ shorter terms and lower interests rates. But, is this option right for your Indianapolis, IN home? Can you afford to pay off the mortgage in 15 years? If you can afford the higher payments associated with the shorter term mortgage why not take one? 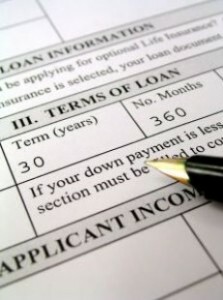 The rate is lower compared to a 30-year which means less interest AND paying that interest for half as long. But, that 15-year mortgage comes with a higher total monthly payment and this can cramp your ability to set aside money for retirement, investments, or other necessities. You don’t want to max out on house payments and not be able to have emergency or fun money either. If this is the case than a 15-year mortgage is not for you. Depending on how high your current 30-year rate is on your Indianapolis, IN home you may be able to refinance into a 15-year mortgage and keep your payments the same PLUS shorten your mortgage term. It may mean a significantly lower interest rate, possibly as much as a full point. A 30-year rate may be a better choice for you because it comes with lower monthly payments. If you are first time buyer trying to buy the most house you can, this lower payment will be an attractive option. There are several choices out there in regards to mortgage terms, we’d be happy to help and point you to a qualified professional who can discuss your personal circumstances and which options would be best for you. And if you are still searching for that perfect Indianapolis, IN home, let a local expert help you out. Buying a home is an exciting and complex adventure. It can also be a very time-consuming and costly one if you’re not familiar with all aspects of the process. So taking the time to learn about the process and your options is critical to making the best informed choices in order to achieve your own particular goals. Contact an Indianapolis, IN real estate agent when you are ready!